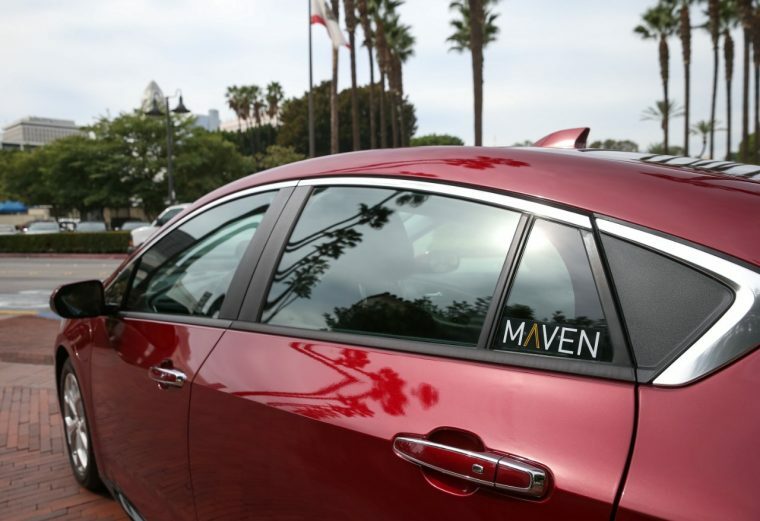 General Motors’ car sharing service Maven is continuing its expansion with the announcement of Maven City car sharing in Los Angeles. This marks the ninth market in nine months that Maven has entered. In addition to LA, Maven is currently in Ann Arbor, Baltimore, Boston, Chicago, Detroit, New York City, San Francisco, and Washington DC. GM promises that more cities are soon to come. GM says that Los Angeles’ transformation from a car-centric city into one with an improved transit and bike infrastructure makes living car-free in LA a viable option, which is why the company is bringing Maven City to the City of Angels. With Maven City, registered customers can rent one of 60 initial vehicles by the hour or by the day by using the Maven app. Drivers can pick their car up at one of over 24 sites throughout the city, which include stations in downtown LA, Little Tokyo, and South Park. GM says there will also be locations near the University of Southern California, including four cars at University Gateway Apartments. There is no application fee or monthly charge for usage. Prices begin at $8 an hour, and include fuel and insurance costs. Los Angelenos will be able to choose their vehicle from a fleet that includes the Chevy Cruze, Malibu, Tahoe, and Volt. GMC options include the Acadia and Yukon, while choices of Cadillac include the ATS, CTS, CT6, XT5, and Escalade. According to GM, Maven members have thus far driven over 23 million miles and made over 12,000 reservations since the service launched nine months ago.